The New York Yankees are once again flashing some financial muscle on the international market but this time the team is being creative about it. In years past the Yankees have simply thrown money at their problems and for a long time it worked. Since the league has finally caught up financially the team can no longer do that due to financial and draft pick restrictions thrown down by a new set of collective bargaining agreements so New York has found a new way to get who they want on the IFA market. All large market teams get $4.75 million in IFA cap money to spend but the team can trade for an additional 75% of that $4.75 million from other teams, something the Yankees did many times this summer already. Now New York is using that new-found money to sign young players like the 16-year old shortstop Ronny Rojas they signed over the weekend but what does that mean for Shohei Otani? First things first, Rojas. Rojas was signed to a $1 million contract and the 16-year old becomes the fourth international prospect to join the Yankees since the 2017-2018 signing period opened on July 2nd joining Robert Chirinos, Everson Pereira and Anthony Garcia. Rojas was considered to be the 11th best international prospect in this year’s signing period not including Otani who has yet to enter the fold as a prospect officially. The Yankees announced they would sign Rojas back in July but the team could not officially sign him until recently because Rojas was just 15-years old. The league will not allow an international prospect to sign until his 16th birthday. What does this mean for the Yankees ability to make a run at Otani though? In all honestly this has no bearing on the Yankees ability to make a serious run at Otani. The Yankees traded for a ton of international spending money this summer in three different trades including the Yefrey Ramirez trade to the Baltimore Orioles and the Sonny Gray trade with the Oakland Athletics. The Yankees still have somewhere in the neighborhood of $3-4 million left to make a run at Otani without going over their allotted pool of money. 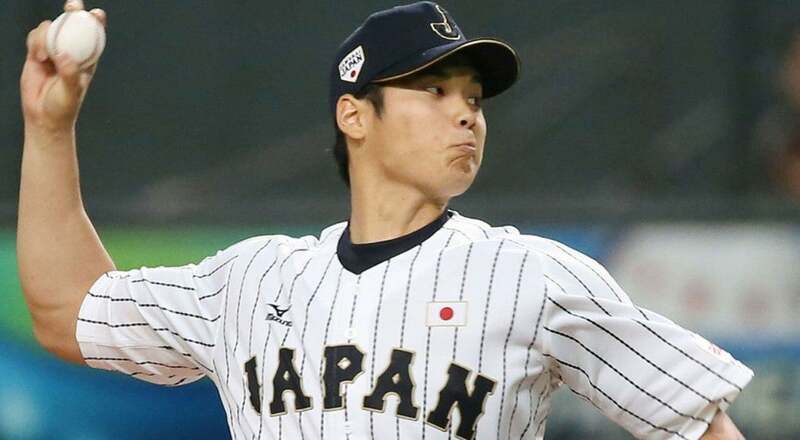 The problem for New York is teams like the Boston Red Sox have also traded for close to their 75% allotment as well giving the Yankees some stiff competition for the latest Japanese import. Having Chirinos, Pereira, Garcia and Rojas is great and it gives the Yankees another wave of future reinforcements to develop and look forward to. Having those four and a shot at Otani though almost seems unfair for the rest of the league so here’s to getting greedy, officially signing Rojas and also getting Japan’s Babe Ruth.